When you really look at it, motherhood is one big cliche after another. Like where does time go and how is my baby 18 months old?! If I recall correctly, my last update was when K turned a year old, and so much has changed since then. It’s insane! For one, our little guy is now running around everywhere. He’s also grasping certain concepts that make life a little more challenging and a lot more fun. Personally, I think this age is one of my favorites (so far)…but don’t listen to me because I’ve been saying this every month for the past 18 months! I don’t even know where to start with Mr. Kaiden. He has such a little personality. One that truly shines when he’s comfortable, like with our families. 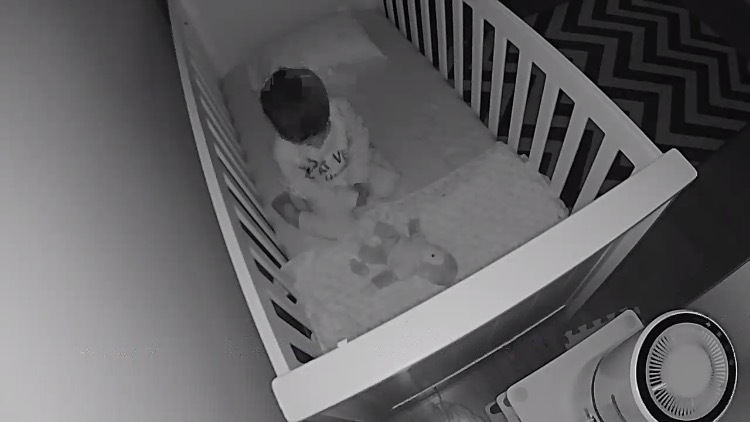 Every night for the past 12 or so days (while in Atlanta), he’s been our source of entertainment as we watch him play, imitate us, and run around. SO MUCH FUN! 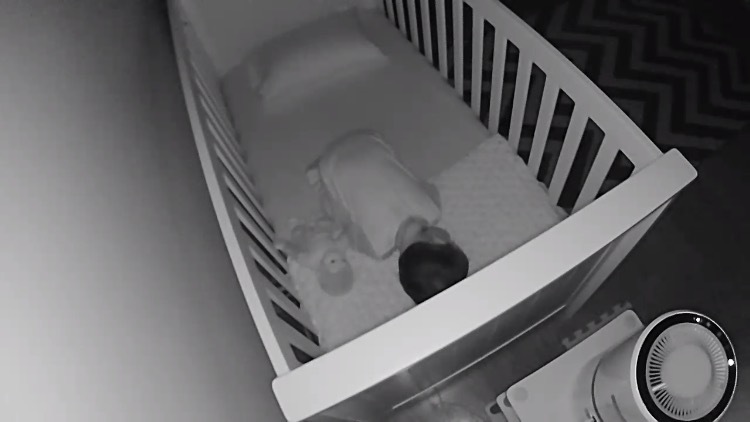 In terms of some of the basics, he’s pretty much sleeping through the night (7:30 pm to ~6 am (give or take)) with a few hiccups here and there. I always say, it could be worse! In terms of food, he’ll pretty much eat anything when he’s not distracted, but the minute his attention is pulled elsewhere, it’s game over. He does really well at daycare apparently, so I try not to stress out too much, but if I had to pick the one thing that worries me the most, it’s his eating habits. Like I’ve shared before, I can’t help but think about if he’s getting all the nutrients he needs, etc. I’m trying to be chill about going forward because his pediatrician always reminds me that as long as he’s growing we’re ok.
He’s definitely growing with his gross motor skills and physical and mental development. Like I said before, he’s pretty much running/walking really really fast now. He’s also starting to climb on to furniture, which is proving to be challenging to manage because he finds it so fun, and I find it very heart attack inducing. He’s also able to identify quite a few body parts as well as pictures in his books. I love quizzing him! Another big thing around this time is language development. Kaiden has a handful of words in his vocabulary including mama, dada, nana (which can be my dad or a banana), all done, one more, more, hello, wow, ball, and a lot of other words/phrases that sound like things but may or may not be! My sister told me that in the next six months, his vocabulary will grow to about 200 words, and I can’t wait! His little voice is my favorite. On a not so fun note, Kaiden can throw a tantrum like no other. Luckily, he gets over it pretty quickly, but man, you can’t always tell when it’s coming. The one thing that really ticks him off is when we say no in a stern voice and/or take something away from him. DRAMA KING, I tell you! Other than that, Kaiden is such a fun loving boy. He loves to laugh and make other people laugh, and for that, we feel so blessed! 2017 and 2018 were not easy for me. Motherhood, on the one hand, has been so much fun, but it hasn’t come without its challenges. Most of my challenges revolved around sleep deprivation, Kaiden’s sicknesses, and my own thoughts that often got in the way of my happiness and/or stressed me out to no end. I probably won’t be cured of any of this in the coming year, but I hope to conquer my own mind and ‘come home’ to myself. Forever a work in progress, but progress is the goal. Other than that, I feel much better and more balanced in general but specifically with work and home responsibilities. I think a lot of this has to do with Kaiden getting older, my ‘getting used’ to motherhood, and letting go of some of type A tendencies. Again, I’m a work in progress, but baby steps are the only way to go. I plan to share more about my journey and growth along with my ups and downs in 2019. Expect much more unfiltered posts from me! 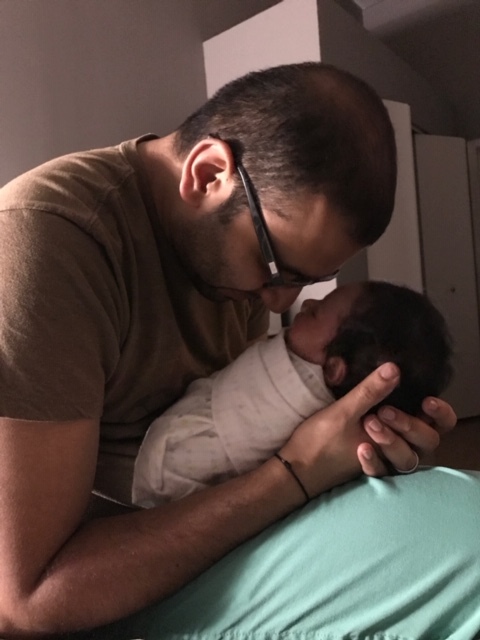 Like almost all of my other updates, Vishnu’s still rocking fatherhood. Kaiden loves goofing around, wrestling, and causing general mischief with him. The only thing that gets in the way of all the fun is residency. Ha! The past few months have been challenging with Vishnu’s call schedule and stint in DC, and the next six months will be full of board studying. Vishnu assures me we won’t feel the pain of that too much, but I’m setting my expectations very low because this isn’t my first time around the study block. I’m hoping Vishnu’s study schedule will force us to be more intentional with the free time we do have. More to come! 2018 was THE fastest year of my life. I can’t believe how much Kaiden has grown in the last 12 months. It’s also hard to believe that in another short six months, he’ll be two!! Here’s to another great month and year! I like to joke that medicine is Vishnu’s mistress. A mistress that I’ve come to accept and befriend. Ha! She’s been a part of our lives since we starting dating almost 14 years ago. And she’ll be around until Vishnu retires. Who am I kidding? She’ll be around forever. 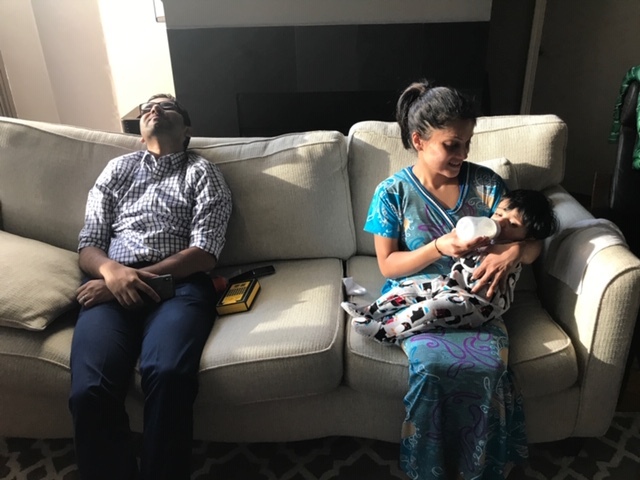 When it was just us, it was easier to work with and around Vishnu’s med school journey (studying, boards, residency application/matching process, etc.). Now that we have Kaiden, it’s a whole different ball game. But we’re learning to navigate this path just like we have all the others. When we had Kaiden, Vishnu had just started his 2nd year of Radiology residency (overall year 3 if you count intern year). He’s now in his 3rd year, and we have one more to go. After he finishes residency, he’ll complete one year of fellowship because he wants to specialize in a particular area of Radiology. Once he’s done with all of this training, he start working as an attending. Phew! I’m not going to lie. From a significant other’s perspective, this journey has been exciting, challenging, frustrating, etc. I mean, I knew what I was getting into when we started dating and later married, but nothing can really prepare you for the ups and downs. Vishnu wanted me to share that we do use bed sheets and a comforter. They were being washed at the time this picture was taken. I will caveat this by saying I know we have it better than a lot of other people out there. My heart specifically goes out to the military families who deal with deployments, uncertainty, and long periods of time without seeing each other. Something that often dictates how we schedule our time and how our days/evenings run is Vishnu’s schedule. And it changes by the month and every now and then even by the week. This means that sometimes he has to be at the hospital by 7:00 and sometimes not until 7:30. If it’s the latter, he’s able to drop Kaiden off at daycare. If not, it’s all me! I don’t mind the variances when they’re limited to daytime hours. Nights are something else altogether! When Vishnu’s on nights, he leaves the house at 6:30 pm and comes back the next morning around 8 am. His shifts run Sunday night through the following Saturday morning. The reason I truly dislike nights is because they eat up our weekends, since Vishnu needs to fit in rest at some point. Another game changer is call. For Vishnu’s hospital, these are the Saturday/Sunday shifts they do. Saturdays are usually 24 hour (7 am – 8 am) and Sundays are 12 hour (8 am – 7 pm). I hate 24 hour Saturdays. HATE! And I don’t think I need to explain why! Other than the weekly/monthly variances, we also deal with holiday shifts. The past two years were rough, especially around the holidays. But oh well! What can you do? I’m hoping the final year of residency (next year) is as chill as they say it is. Fingers crossed! Another aspect of all of this is the uncertainty that comes with the residency and fellowship matching process. It’s not a given that you’ll end up where you want to be in terms of city. For us, Kaiden wasn’t here when we matched in Chicago for residency. But now that we’re on to the fellowship process, he’s definitely something we’re taking into consideration, since he’ll be three at the start of it. With all of this being said, we are always trying to be more aware of how we spend our time, especially on the weekends. In the past, we’ve always let med school/residency/etc. take precedence over all else. Now that we have Kaiden, we recognize that if we don’t bring intention to everything we do, these first few years of his life will fly by, and we’ll have big regrets later. For us, this looks like visiting the museum, going out to eat as a family, taking trips (definitely need to get better about this one! ), etc. Vishnu’s committed not to let board studying (pretty much the first half of 2019) be his only priority. As is the case with everything, it’s a work in progress, but we’re trying! The other side of all of this is accepting and acknowledging that this is all short term (although it doesn’t always feel like it). We’ll be settled somewhere in a few years, and I’m pretty sure we’ll miss pieces of the residency/fellowship journey. Another aspect, for me at least, is accepting a few things and being ok with them (most of the time). For us, this means that I’m pretty much the primary parent. I’m also the one who schedules doctor’s appointments, activities, home stuff, etc. Some days I’m filled with gratitude and more than happy to take it all on, and some days…well, I’m not. Positive self-talk really does wonders. I have to remind myself that Vishnu’s not out having fun…he’s at work, studying, etc. And truth be told, Vishnu actually does a lot more than I would be able to do if the roles were reversed. 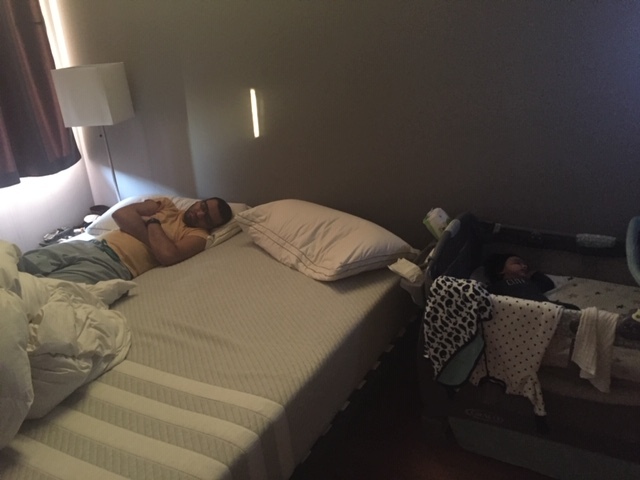 He does a great job balancing everything, especially fatherhood and husbandhood. In fact, he’s the one who’s constantly thinking of new things for us to do and try, new places to take Kaiden, etc. Many people think the doctor life is glamorous and easy, especially for the significant other, but I’m here to tell you it’s not. I have lots of friends who are doctors and/or are married to one, and glamor is so far from the reality of this journey. It takes a lot of dedication, compromise, resiliency, and faith to get to the end of training, and I imagine those same things continue to carry you forward well after. So yeah, we’re 17 months in and pretty much agree that Kaiden should not go into medicine. HA! Jussssstttt kidddddinggggg! At least I am. Vishnu’s determined to guide him down a different path. We shall see! I didn’t know ‘the maternal grandparent advantage’ even existed until I read this article back in April. It makes sense on so many levels. However, a lot depends on your family dynamic, your relationship with your parents and in-laws, their relationship with each other, etc. 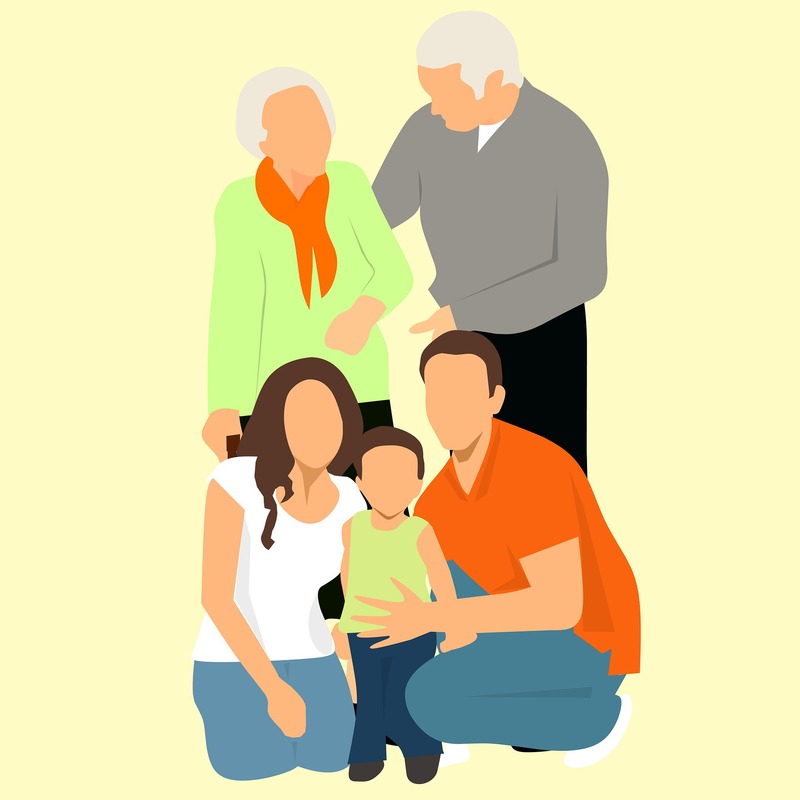 According to the articles I read, the advantage stems from the fact that daughters tend to have a closer relationship with their own parents which leaders to a warmer relationship between the kids and their maternal grandparents. Paternal grandparents, on the other hand, have to tread carefully. Another element to this is that women are still responsible for ‘kinkeeping.’ This includes planning, calls, visits, sharing news and updates, holidays, etc. The wife is the gatekeeper to not only her own family but her husband’s as well. Like I said, a lot of variables are at play here. I do have more frequent contact with my parents, specifically my mom (we talk 1-2x/day). She’s my emotional support, my advice giver, etc. My go-to on a day to day basis essentially! We also have a family chat between my mom, dad, sister and I making it easy to just check-in and say hi. While I have the best in-laws in the whole world (no bias here! ), the bond I have with my parents is just unique and can’t be replicated. For example, my in-laws have treated me like a daughter since before Vishnu and I were married. No daughter-in-law business. That said, I’m still there daughter-in-law, and there’s a level of formality that will always be there versus the comfort I have with my own family. There’s also this element, I think, of Vishnu’s parents having two boys versus my parents who have two girls. It basically boils down to different expectations and relationship dynamics. That said, I am also the gatekeeper/kinkeeper in our family. If you know Vishnu at all, this will make total sense! Ha! So yes, I see how the maternal grandparent advantage exists in some ways. Regardless of your relationship with your in-laws, keeping your kids from them is wrong. The only exception being if they don’t treat them well. The way I see it, Kaiden is as much my parents’ grandson as he is my in-laws, and he should have a strong relationship with everyone. I know it’s easy for me to say because I myself have a great relationship with Vishnu’s parents, our parents are close, etc. But even if I didn’t, I would find a way to put my feelings aside for Kaiden’s sake. Grandparents are such special people, and I wouldn’t want to take that away from him. I would love to hear other thoughts on this topic because, like I said, it totally depends on your family dynamic. Leave a comment or email me if you’re more comfortable (myinnershakti@gmail.com).